As those of you who read my blog from time to time know, I don’t give Tories very much credit. The truth is though that I liked some of the old PCs when it was a kinder and gentler party than the Conservatives are today. I liked John Crosbie. And I liked Joe Clark too. There are several others. There were some good men and women in the old PC party and some great Canadians amongst them. My hat goes off to them. Today my hat goes off to another old Tory. He ran as a PC under the leadership of Jean Charest in 1997 in the riding of Parry Sound – Muskoka. Alas, he lost to the Grit, but had he won the people of Canada would have been well-served. 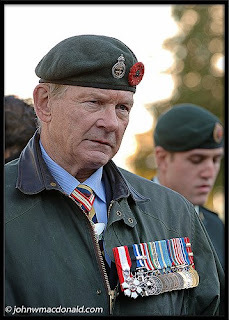 Just as he served them well as a career officer in the Canadian Armed Forces for 35 years. He is also an author, sometime columnist and winner of the 2007 Diamond Class Ontario Championship for formula Fords - at the age of 67. He is also one Canadian who ‘gets it’ about our role in Afghanistan. I speak of Major-General Lewis MacKenzie (ret). MacKenzie has written several pieces about Canada’s role in the Afghanistan quicksand, and was one of the first prominent Canadians to see the conflict in realistic terms and have the guts to talk about it. For some time now MacKenzie has told Canadians that this is a very difficult operation requiring far more resources than our NATO allies seemed to be prepared to commit. In this morning’s Globe and Mail he comments on Canada finally getting its hands on six used Chinook medium-lift helicopters to help us and our NATO partners in the Afghanistan effort. Those helicopters are to be leased for one year at a cost – to you and I - of three hundred million bucks. In his piece MacKenzie notes that among NATO’s twenty-six countries, there are 3,000 such helicopters sitting around airports. However, none have been made available to Canada for the war effort. He questions NATO’s commitment to the project, and calls upon its member nations to either pitch in, or forget about NATO. MacKenzie sees it and tells it like it is. Good on Lew MacKenzie – a great Canadian! Great post about Lew MacKenzie. I have 2 kids in the Reserves who will probably going to Afghanistan next year and I sure hope NATO anties up soon.